When you think of afternoon tea, you likely picture a plush room full of flowers in a luxury hotel — not a double-decker red bus. But who says you can’t have both? 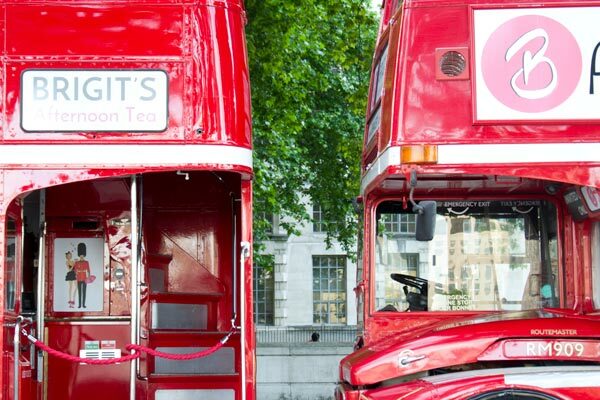 Brigit’s Bakery — which has two locations, one in London’s Covent Garden and another in Bath’s Pulteney Bridge — also happens to run an Afternoon Tea Bus Tour. And, when we took a spin on the tour on a Saturday afternoon, we discovered it’s just as fun as you might imagine. 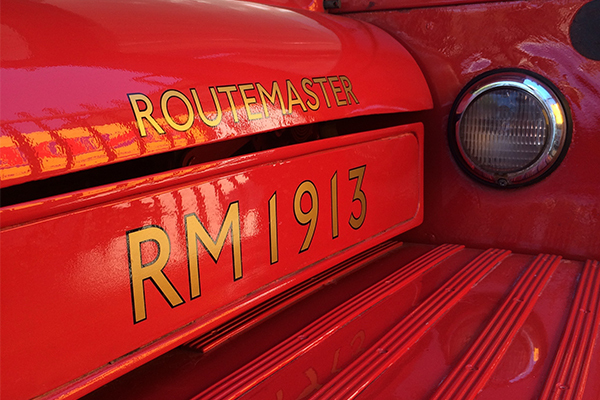 The vintage Routemaster bus boasts tables and benches on both floors set up for a full high tea, complete with sandwiches, cakes, and pastries. The decor is feminine and fun — think fake flowers and fairy lights — while retro music plays throughout the journey. Think “Sugar, Sugar” by The Archies. The bus, which departs either from Victoria Coach Station or from Northumberland Avenue (ours left from Victoria), acts as a full London tour bus for 1.5 hours, and takes you around the likes of Big Ben, Downing Street, and even past Harrods. Both a speaker system and the friendly, bubbly staff also provide commentary on your surroundings throughout the journey. 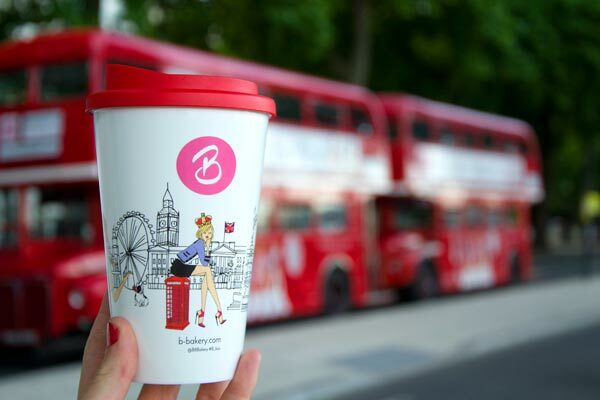 There’s a selection of tea (and coffee/hot chocolate) to choose from, all of which are served in branded travel mugs (which you get to take home — bonus!) and can be topped up throughout the trip. You can also buy optional prosecco and Champagne. As it’s operated by a bakery, the food is pretty impressive. The traditional menu offers classics like cucumber and mint sandwiches and smoked salmon blinis with chocolate mini cupcakes and scones. However, we opted for the new vegan menu, which included a beetroot and cucumber sandwich, avocado and carrot roll, mixed roasted vegetables on ciabatta, as well as the highlight — a vegan quiche. On the sweet side, we tucked into pannacotta on coconut rocher, chocolate mousse verrine, scones with vegan spreads, cupcakes, and a lemon drizzle slice — which was incredibly moist for a vegan cake, and easily the favourite. The trip costs £45 per adult, which may seem a little steep, but when you consider the fact that you’re getting a 1.5 hour tour of London built-in, it’s actually a pretty reasonable way to do things. It’s also a great special occasion activity — there was a 75th birthday happening on board during our trip, and the lovely staff had the entire bus singing Happy Birthday to one surprised looking lady. Before you book, though, there is one downside to note — there’s no toilet on board. If you get motion sick, be sure to request a table on the bottom level — after one too many sweet treats, the nausea started to set in for us up top. Luckily, we made it back onto solid ground just in time — but I would imagine not everyone is so lucky.